Bird silhouette. 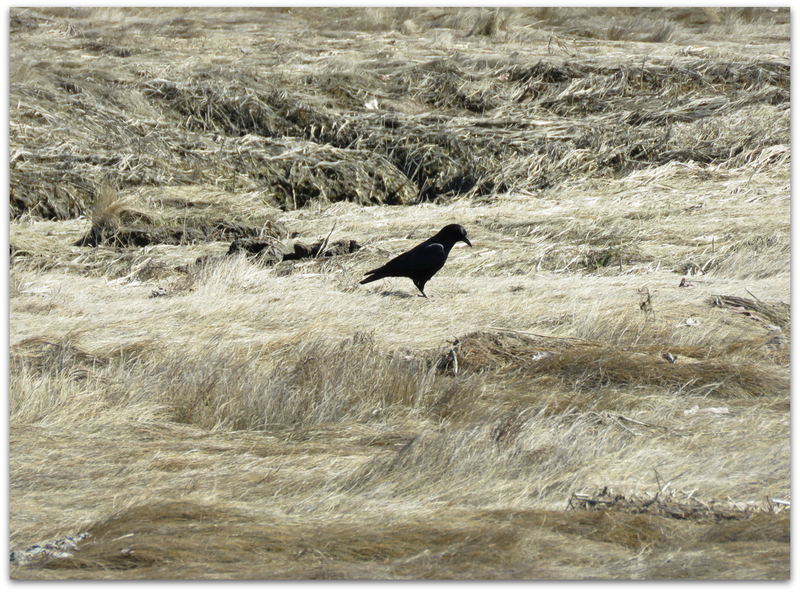 A crow hunting/ scavenging in Hampton Marsh. 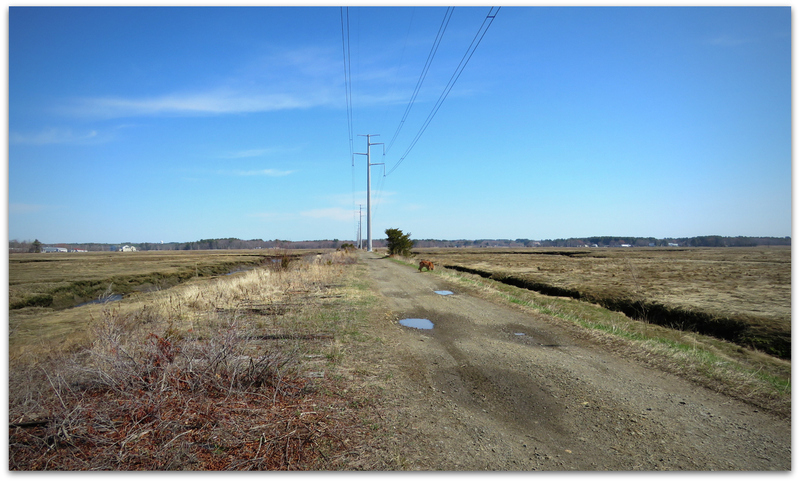 I love this way into Hampton Marsh. They say it will be a publicly accessible, fixed up rail trail someday and I have mixed feelings about that. Lots of crows in the marsh today. My theory is that recent super high tides and rain flooding have left fish stranded high and dry. Or else some bugs or other invertebrates are hatching out. I like crows. They are people-watchers, among other things. They study us… and are rightfully wary – though also never very far away. Savannah Sparrow along the old rail bed. With this bird I have reached a new level of sparrow knowledge. 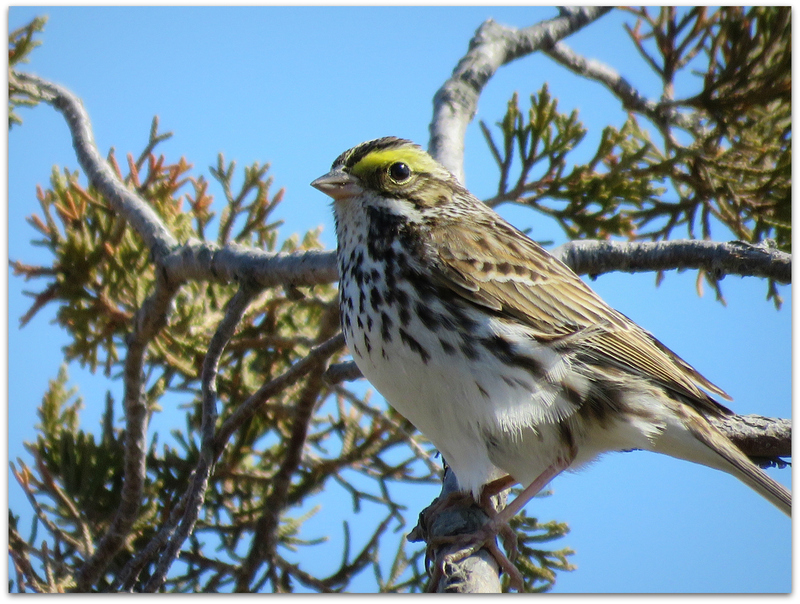 “Savannah Sparrow” was my first guess to Google, I don’t know why. It’s not one I have seen and known before. On both their summer and winter ranges, Savannah Sparrows live in grasslands with few trees, including meadows, pastures, grassy roadsides, sedge wetlands, and cultivated fields planted with cover crops like alfalfa. Near oceans, they also inhabit tidal saltmarshes and estuaries. Named for Savannah, Georgia, these pretty little birds are in their summer range here. This entry was posted in Uncategorized and tagged American Crow, Savannah Sparrow on April 22, 2015 by Amy. 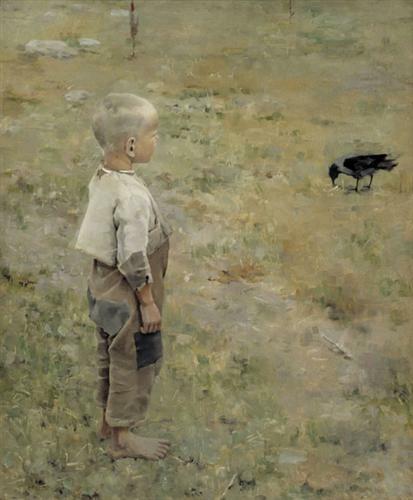 This is a blog about watching wild birds wherever I am but mostly close to home. I started sharing photos from my New Hampshire backyard in May 2014. In December 2016, we moved to the Treasure Coast of Florida.